Pay Solutions keep abreast of all HR and Payroll Legislation throughout the year, thus ensuing their clients are always up to date with the latest changes! The Department of Labour in partnership with the Commission for Employment Equity (CEE) is to embark on engagements with business leaders from the various sectors. This follows the continued slow pace of transforming the South African labour market, where designated groups are still confined to the lower levels of the workplace. Following the recent release of the 16th CEE Annual Report, Labour Minister, Mildred Oliphant promised that the Commission for Employment Equity will embark on engagements with business leaders of the various sectors. The aim of the sectoral engagements is to consult business leaders or their representatives (managers, human resource officers, EE officers among others) on employment equity issues. The CEE is interested in establishing challenges that employers face in employment equity implementation and strategies so as to overcome them. The Commission for Employment Equity is a statutory body established in terms of section 28 of the Employment Equity Act. Its role is to advise the Minister on any matter concerning the Act, including policy and matters pertaining to the implementation of the EE Act. After 18 years of the Employment Equity Act, the top and senior management positions in the workplace are largely still occupied by white people. The first in a series of engagements will start on 23 June 2016 with the Retail & Motor sector. The first engagement will be held at Birchwood Hotel and Conference Centre, Boksburg, in Gauteng Province from 09:00am-14:00. More engagements will be held in July and August 2016 with sectors such as Manufacturing, Finance, Catering & Accommodation, Mining & Quarrying, Wholesale, Construction, Transport, Educational Institutions and Local Government. The stakeholder engagements ends in September. 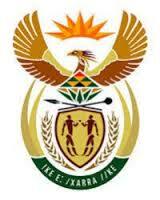 All engagements will include Sector Education & Training Authority (SETA) and trade unions operating in that sector. Nine of the 10 planned engagements will be held in Gauteng with the exception of one that will be held in Cape Town. Venues of the other engagements will be confirmed in due course.